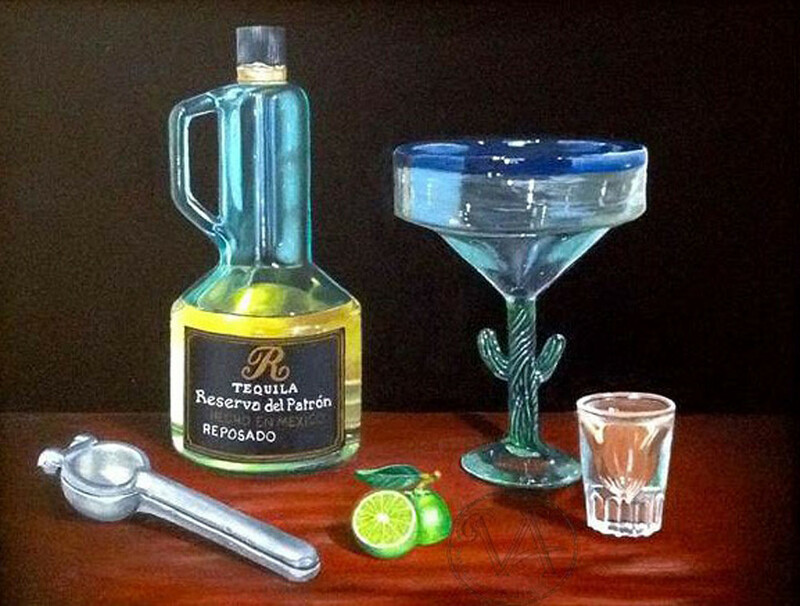 Still life of an aged bottle of Patron tequila with a sliced lime and its squeezer a margarita cactus glass and a glass shotglass on a bar table. The bottle was a gift for Ron given to him back in the 1980's. Original size 11x14.